The isoparemetric curves of the surfaces depends on its way of creation. Frequently its reflect the topology of the surface and so is very useful is machining as a work passes. Different fillets can be machined this way very well. The surfaces, the isoparametric curves of that must be used, is added to the job assignment of the 5D contouring operation. 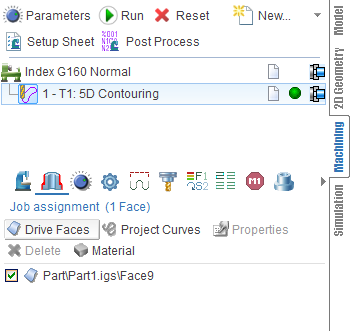 To do it, it's necessary to select the desired surfaces and click the <Drive faces> button. 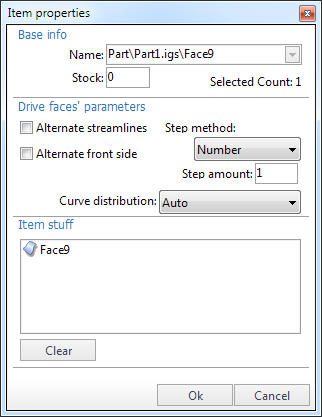 If some faces with the analogous parameterization are selected and added to the list by alone click on the <Drive faces> button then it will be machined together. The quantity of the passes for the added surface is defined in the <Item properties> dialog. Select the item and click the <Properties> button to open it. The pass count can be defined directly, or by the step value, or using the scallop value. The <Alternate streamlines> tick changes the passes direction to the ortogonal ones. The <Alternate front side> changes the machined side of surface to the back one. 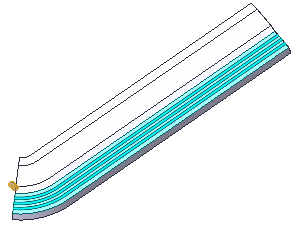 <From Start> – the first curve is placed on the left edge of the surface and other curves are placed to the right of the first one. 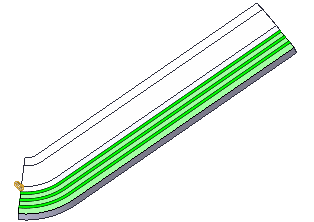 <From End> – the first curve is placed on the right edge of the surface and other curves are placed to the left of the first. 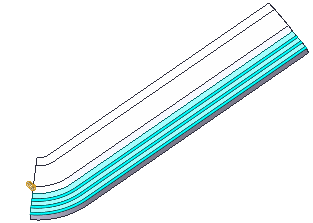 <From Center> – the first curve is placed in the middle of the surface, other curves are placed to the left and to the right of it. 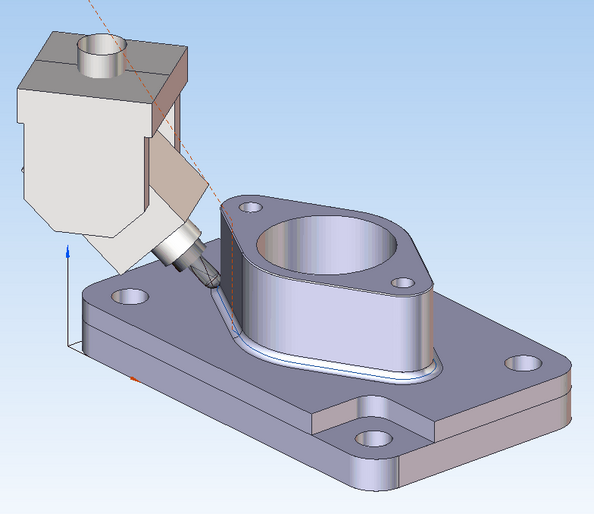 <Auto> – curve placing method is defined by SprutCAM based on the machining method (Face, Flank) and tool axis orientation.